Bryan started with us in March 2015 and is the head of our accounting department. Managing the finances of our large client base and all of our employees is no easy task, and Bryan works hard to make sure everything runs smoothly. Throughout his two years with us, he’s figured out ways to make his department run more efficiently, which has been a huge help during our rapid growth. Bryan enjoys working out of our Los Angeles office, and has fun hanging out with his co-workers in his off time. He’s looking forward to the Dodger game we’ll be going to this year, as that was his favorite company event from 2016. He likes to explore downtown Culver City’s restaurants during his lunch breaks—Honey’s Kettle Fried Chicken is his favorite so far. Sarvesh has been on the PPC team at Coalition since December 2015. His responsibilities include creating and managing Adwords, Bing, Facebook, and Adroll accounts and campaigns. He’s a huge part of the PPC team and continuously works to generate the maximum revenue for the clients he works with, whether through branded or non-branded campaigns. Based in India, Sarvesh was recently featured on our Instagram as a member of our global team. He likes to spend his free time traveling, listening to music, and watching cricket. Fun fact—Sarvesh held a world record for his collection of currency notes signed by all the governors of a national bank! He has a huge collection of currency from India as well as other countries. 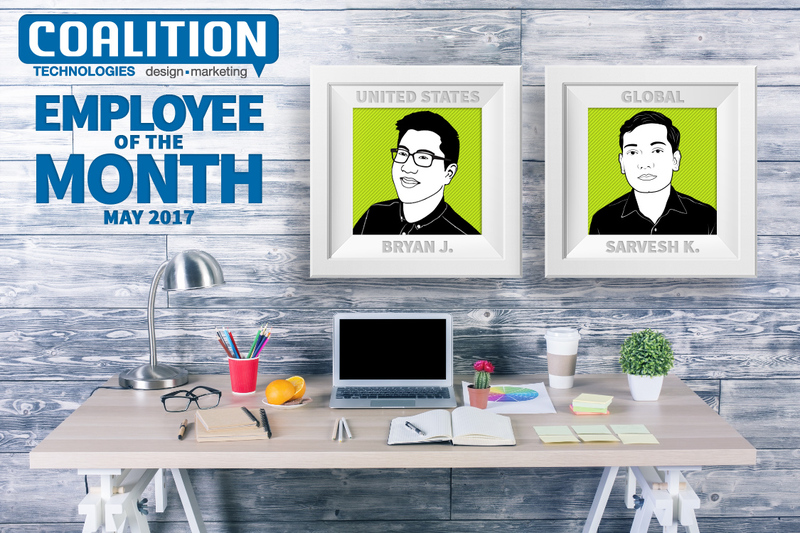 We’re very proud of Bryan and Sarvesh, and everyone who continues to make the team at Coalition awesome. 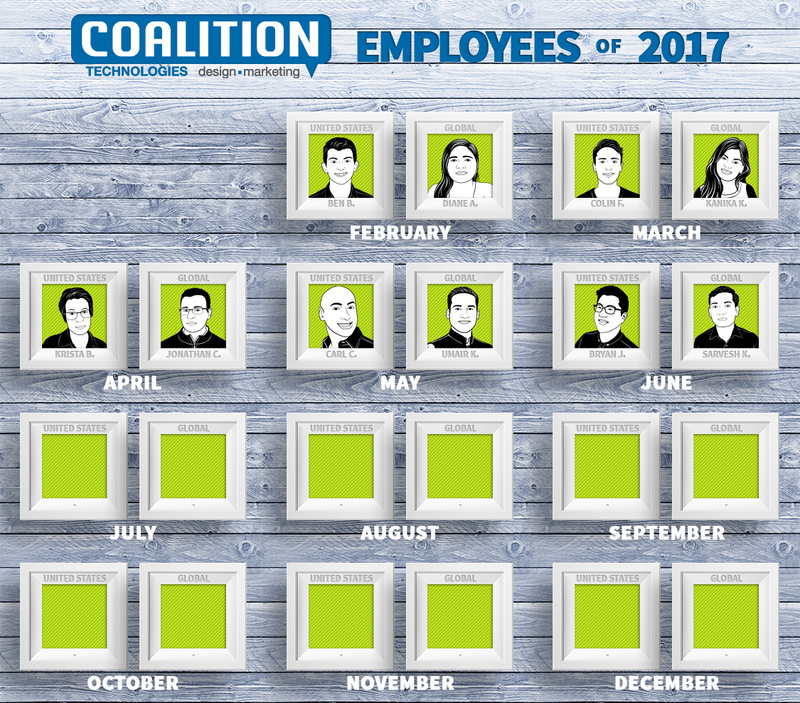 From our long-time employees to our most recent recruits, everyone puts out such great work month after month and Coalition Technologies would be nowhere without them! Be sure to check back next month for July’s Employees of the Month.